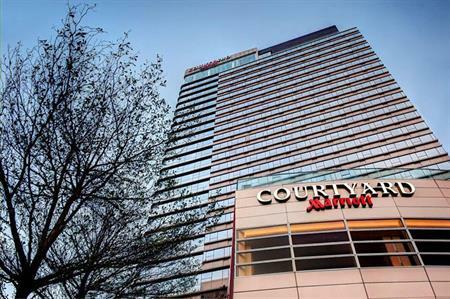 The Courtyard by Marriott Hong Kong, operated by Marriott International, has opened in Hong Kong's Sha Tin district. The 539-room propery, the largest Courtyard by Marriott hotel in Asia by number of rooms, has four meeting rooms, offering a total of 550 sqm of meeting space. The largest space is the Grand Ballroom, which caters for up to 430. The property also offers a gym and an outdoor pool.